Hey again! So this will be a short post, but we didn’t want to miss out on sharing with you guys a cute, affordable restaurant we had the pleasure of dining at in Houston recently. 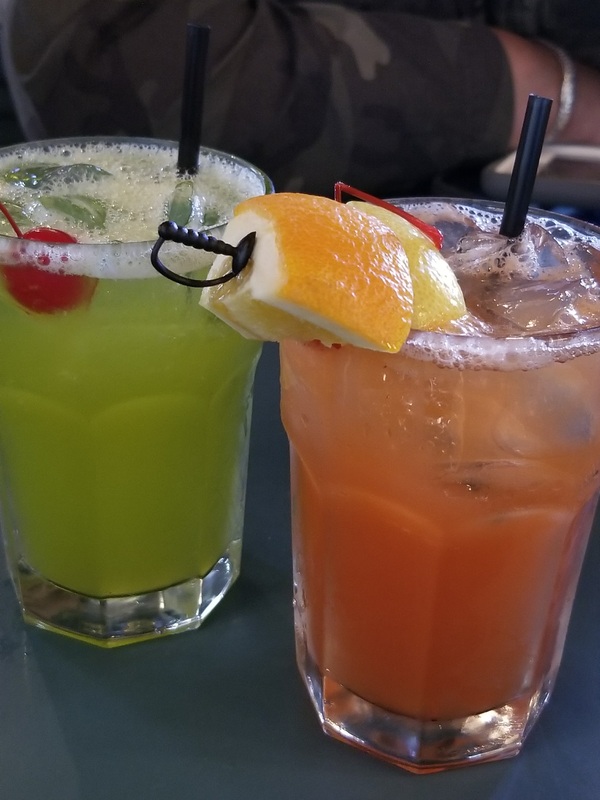 After we left MATCH (Midtown Arts & Theater Center Houston) where we watched Akeelah and the Bee, a quick bite to eat and some drinks were right up our alley. Midtown is one of our favorite areas, so we decided to just walk around when we happened upon Natachee’s Supper ‘n Punch. It had been years since we’d had it, so we felt it deserved a fresh go-round. Previously, we’d sat outside (which is something we highly recommend if the weather is pleasant), but this day we opted for indoors. Servers were very friendly and they got right to us to take our orders. Ya know, some places just have good vibes. Natachee’s is one of them. It’s down home cooking, no frills, all-day breakfast (if that’s your thing) and easy on the pocketbook. Enough talk, here’s what we ordered. What a spread! 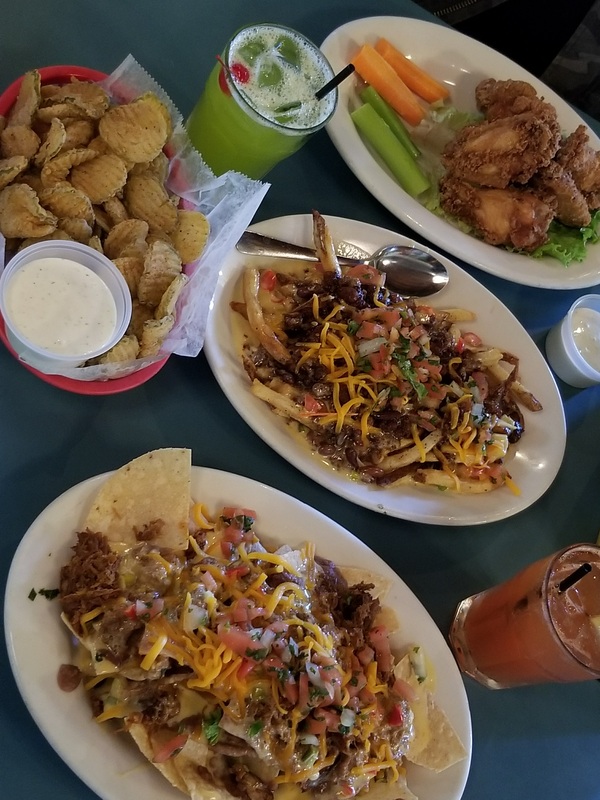 Pictured are fried pickles (sooooo good), fried wings, chili cheese fries and pulled pork nachos. We shared all these appetizers and had plenty to take home. And this all cost only $30! Natachee’s Supper ‘n Punch is located at 3622 Main St., Houston, TX 77002. Next post5 Things We Love About Greece! Always looking for a new spot to enjoy! Thanks for the review! Thanks girls! We just saw your kind review. Hope your travels bring you back soon! !